Code on Point is a 36-week intensive program designed to introduce youth interested in working in the tech field to the fundamentals of web design and coding. 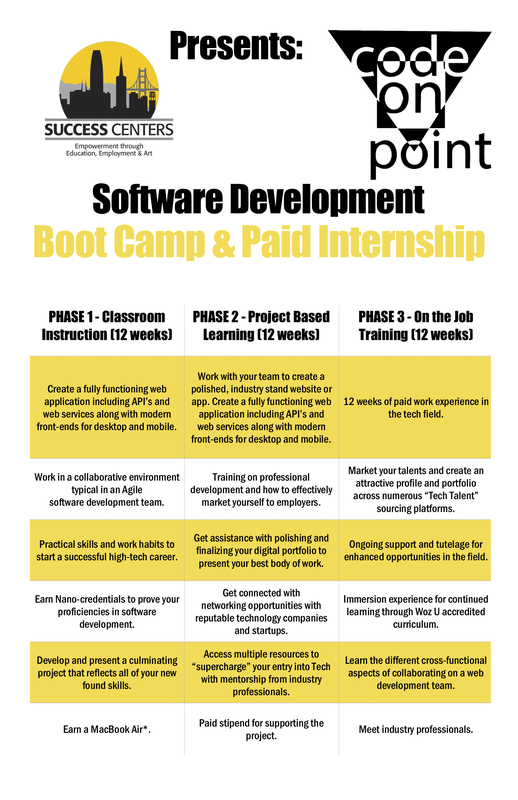 The bootcamp covers many introductory principles students need to move into more advanced tech courses and tech jobs. Youth may also attend workplace tours of industry-leaders, hear guest speakers, go on college campus visits, and have access to additional employment and educational opportunities. Key to Code on Point’s success is our strong connections to Bay Area start-ups, where we are placing bootcamp participants directly into tech jobs. See below for a detailed outline of the program.